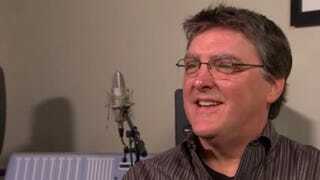 Composer Marty O'Donnell, the man responsible for Halo's iconic theme song, is suing the head of his former company Bungie for not paying benefits he claims he is owed. In the lawsuit, O'Donnell alleges that when he was terminated, he had accrued vacation time, sabbatical time, and paid time off, which Bungie has not paid him. Naming Bungie boss Harold Ryan as a defendant, O'Donnell's lawsuit claims that "Ryan has willfully and intentionally caused Bungie to deprive O'Donnell of accrued but unused vacation time, paid time off, sabbatical time, and other benefits." O'Donnell, who was fired in April, had worked for Bungie since 1999, working on the first four Halo games as well as the upcoming sci-fi shooter Destiny. Both in the lawsuit and on his Twitter account, O'Donnell claimed he was axed "without cause." In a response to the lawsuit, Bungie denied O'Donnell's allegations, asking that the case be dismissed with prejudice. Note: the original headline for this story read "Halo Theme Composer Sues Bungie." It's been changed to indicate that O'Donnell has actually sued the head of Bungie, not the company itself. We apologize for any confusion.